Red shirts are so red! 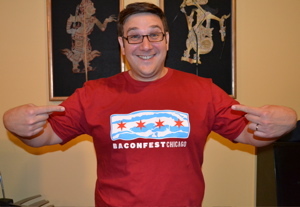 Baconfest logo on the front, website address on the back. Sorry – adult sizes only!